That noise? The sound of many Smalling tweets from the first half being deleted. 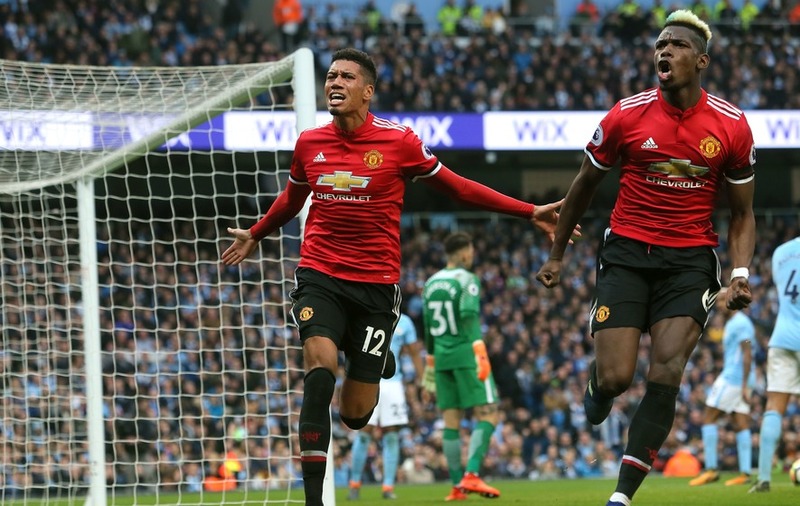 Manchester United’s 3-2 win against Manchester City, which denied their rivals the chance to lift the title against them, will be remembered as one of the great comebacks, but Chris Smalling enjoyed his own personal redemption in the process. The Manchester United defender was outdone by City centre-back Vincent Kompany in the first half, allowing the Belgian to score the hosts’ opener. #mcfc lead. Sane corner, Kompany header. Poor defending again from #mufc. Smalling failed to stick with Kompany. The goal sparked memories of 2012, when Kompany beat Smalling to the ball to score the winner that eventually set City on course for the 2011/12 title at United’s expense. Almost the exact same goal Kompany scored against United on the way to winning the title in 2012. Corner from different side, but same end and Smalling the one marking. It’s fair to say United fans were far from impressed. The visitors went in at half-time 2-0 down and it looked like City would claim the title against their local rivals, but two goals from Paul Pogba in quick succession changed all that after the break. And as if someone had written the script for a Hollywood movie, Smalling made amends for his earlier mistake by volleying in the winner from a free-kick. That noise? The sound of many Smalling tweets being deleted. Many demonstrated a sense of humour after Smalling’s unlikely influence in the game, given that nobody appeared to give United a chance after the first half. Meanwhile the goal continued a long tradition, where Smalling’s efforts always seem to lead to victories. The last word goes to the United defender after his incredible resilience.